Dr. R. K. Anand is the Managing Director of DJB Infrastructures and Developers India Pvt. Ltd. He was earlier, Chief Manager, Commercial of DLF Ltd - Asia’s largest Real Estate Development Company. He is a serial entrepreneur with over 43 years of experience in the fields of Corporate Affairs, Finance, Taxation, Marketing, Legal, Administration and Commercial. A professionally qualified Cost and Works Accountant, Dr. Anand holds a B.Com Honors Degree from the prestigious Shri Ram College of Commerce, a Diploma in Tax Laws, and a PhD in Commerce. Dr. Anand talks to us about a very unique project in India’s timeshare space – so unique, we wanted to know more about it. So, here’s Dr. Anand talking about this dream venture. A: DJB Infrastructures & Developers India Pvt. Ltd. is an FDI Company with promoters from Singapore. The reputation of the organization is rooted in its international experience, expertise and capability - demonstrated across a spectrum of landmark projects. 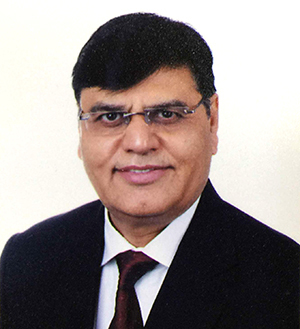 The Chairman of this FDI Company, Mr. Daljit Singh Randhawa, has over 30 years of experience in construction, development and real estate projects in Singapore and New Zealand - where the DJB Group of Companies has a strong presence. Q: What’s unique about your timeshare offering? A: The thinking behind our project revolves around the homing instinct of Indians abroad – and we want them to visit the Golden Temple as a planned get-away from their busy schedules. From a larger perspective, this is also about the development and promotion of the tourism industry in and around Amritsar. Let me add here that people of diverse backgrounds also visit the Golden Temple - irrespective of their faith. Having said that, our prime prospects are Indians settled abroad who are spiritually inclined and feel the need to come down to Amritsar at least once in the a year for Sewa – so it’s about making that planned holy trip to the Golden Temple. 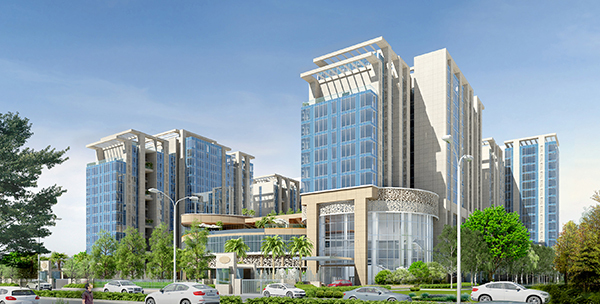 This could easily be India’s largest timeshare hospitality project, amalgamating the concepts of timeshare and pilgrim tourism – developed within the guidelines laid down by the Ministry of Tourism for timeshare resorts. A: Our proposed project - G2G Amritsar - is approximately 9 km from the Golden Temple. Current plans include the construction of approximately 1113 suites with 3 variants - studio suites, 1-bedroom suites and 2-bedroom suites. We also hope to package this with 5-star like amenities including a club – making it very unique in terms of concept, design and execution. The first phase of this project will be operational by 2018/ 2019 with 373 suites. The timeshare brand that we have in mind is Wyndham Resorts and we are at an advanced stage of discussions with the Wyndham Hotel Group. Q: Is there an attractive offering in your timeshare plan? A: To start with we will enroll members, who can benefit from our annual plan for7 days in the year - across 27 years. Interestingly, each membership comes with a very attractive extension benefit – a free term-linked RCI membership for 27 years, giving our members the flexibility to choose from any of 4500 RCI affiliated resorts in over 100 countries. As long as you are a member of our plan, you continue to be to be a member of RCI. We have another bonus for members - no annual maintenance charges/ annual subscription fee - which could be an industry first in this space? Q: That sounds like an exciting temple trail? A: An interesting observation here is the fact that the Golden Temple attracts more visitors than the Taj Mahal – believe me, it’s true. A study of visitor traffic also shows that people come down to Amritsar at least once or twice in the year – sometimes, even three times. To package the experience, we will introduce customized concierge services. In addition to carefully planned trips to gurudwaras, temples and tourist spots in and around Amritsar, we will give members the option of touring other religious destinations - including the Panj Takhts. Once you’re here, taking a spiritual dip in Amrit Sarovar Lake is a divine experience. And we must say that Amritsar is a very interesting stop-over – so much like the India you want to see, yet so different in some very exciting ways.